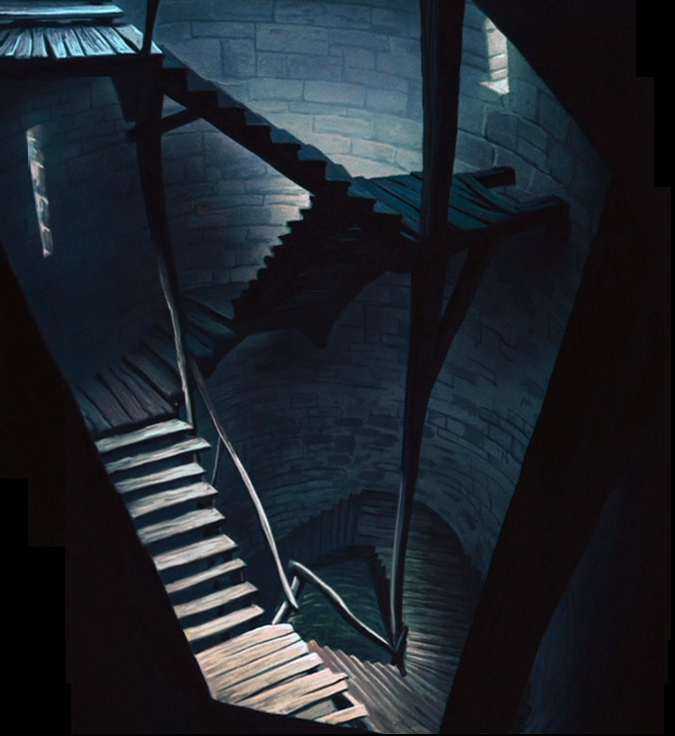 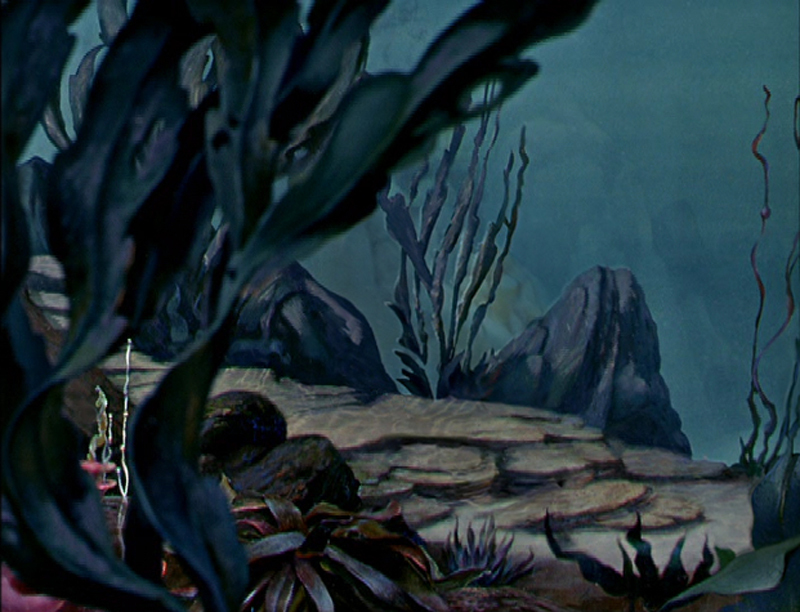 some more recreated backgrounds from disney’s PINOCCHIO, showing the environment on the ocean floor where pinocchio is searching for monstro the whale. 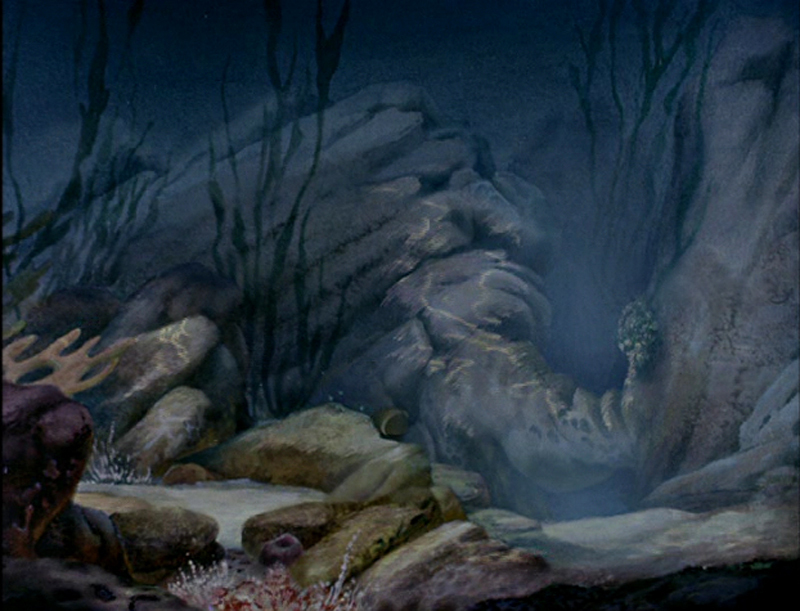 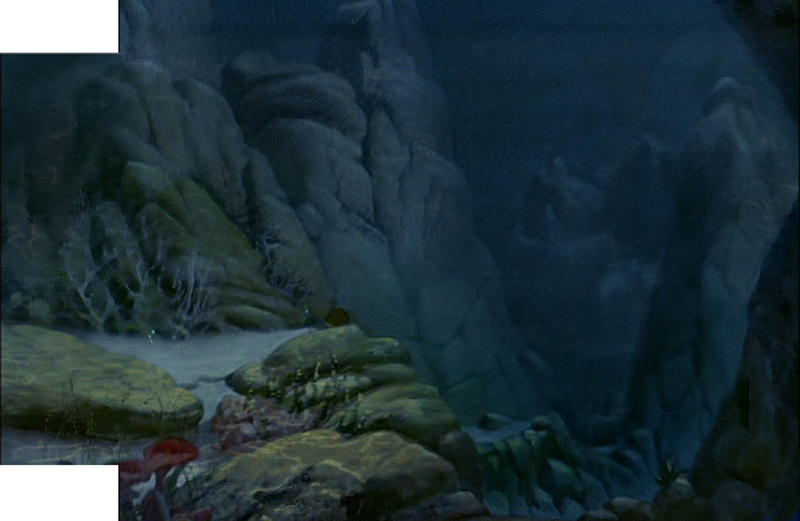 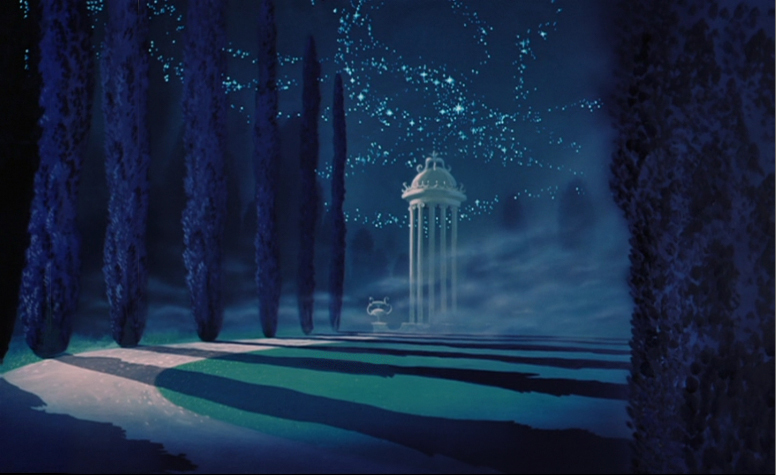 the atmosphere is dark and realistic, very different from the underwaterworld of a later production, THE LITTLE MERMAID. 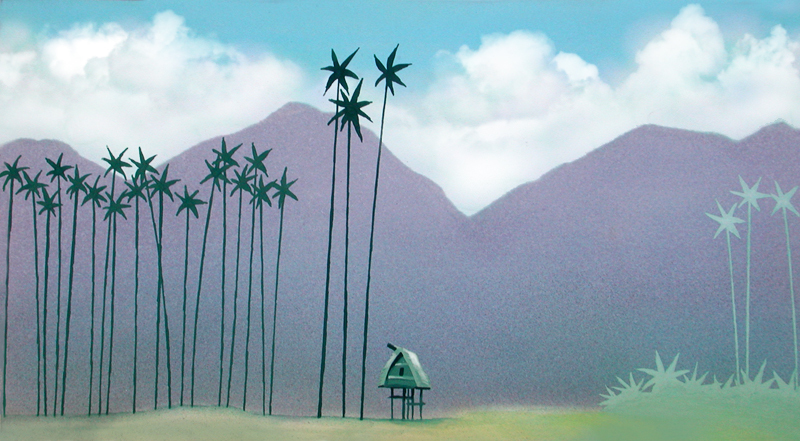 I am back from the 2 weeks singapore workshop. 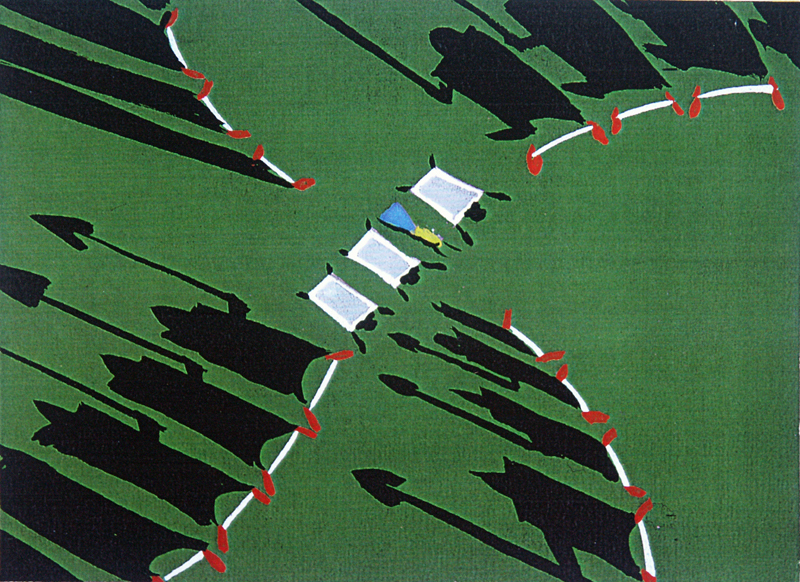 it was fun and there was a lot of talent in the class of 40. hi to everybody, I will be back soon. 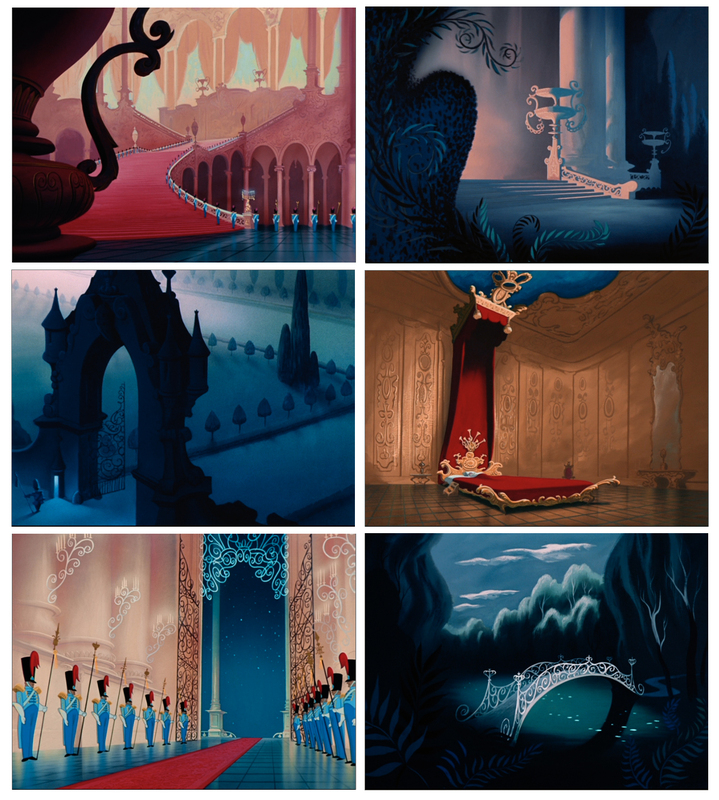 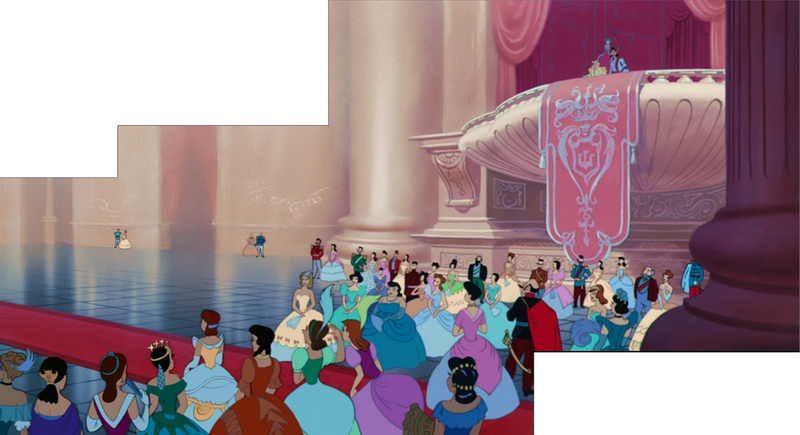 here now another recreated long background-pan, from disney’s DONALD’S LUCKY DAY, released jan. 1939. beautifully painted in the watercolor technique of that time. 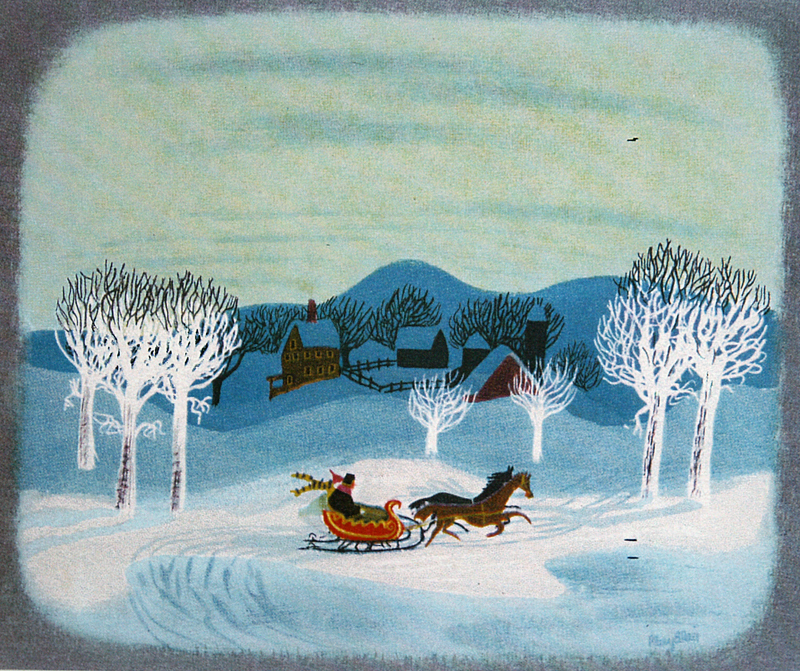 MARY BLAIR, born in 1911, was married to LEE BLAIR ( brother of PRESTON BLAIR, well known for his ‘how to animate’-booklet ). 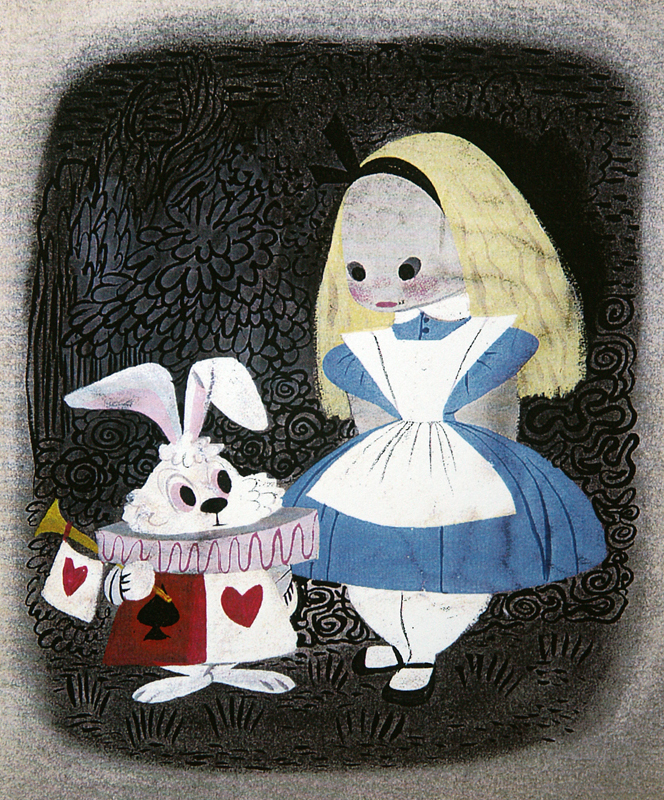 both became very well know watercolor artists, LEE even was at the age of 23 the president of the CALIFORNIA WATERCOLOR SOCIETY. 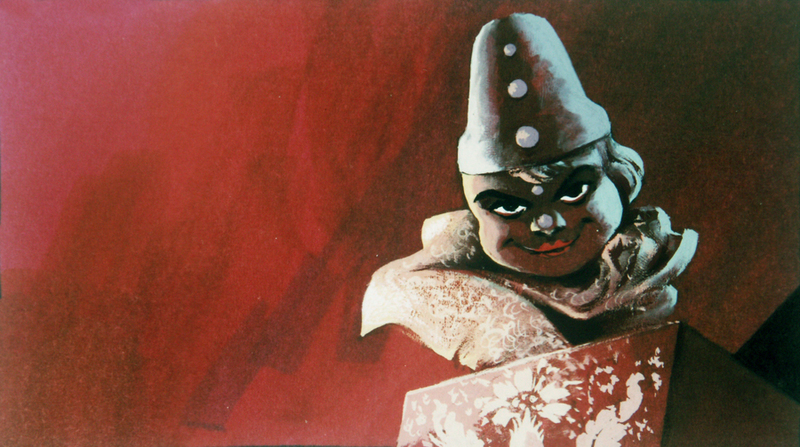 lee blair joined disney in 1938 and became one of the art directors on PINOCCHIO. 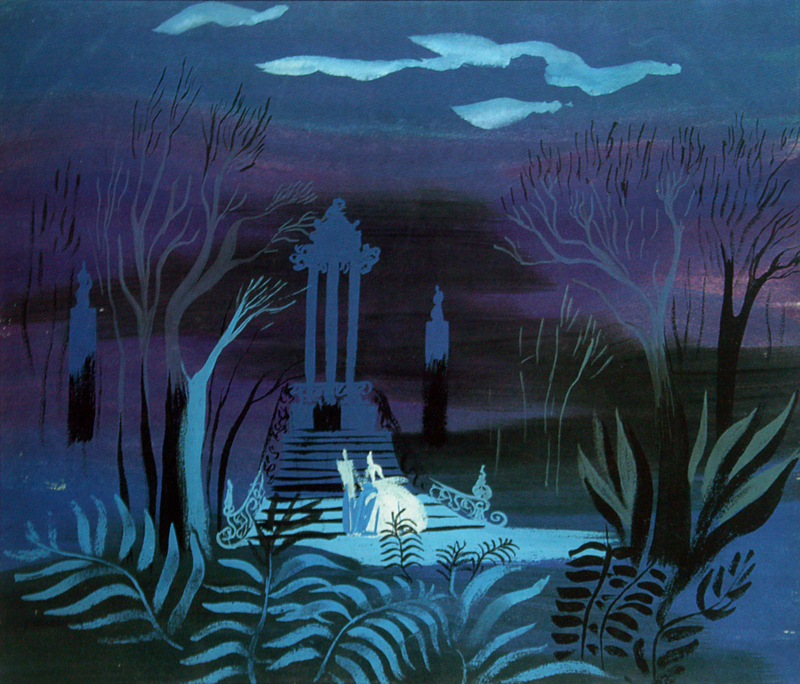 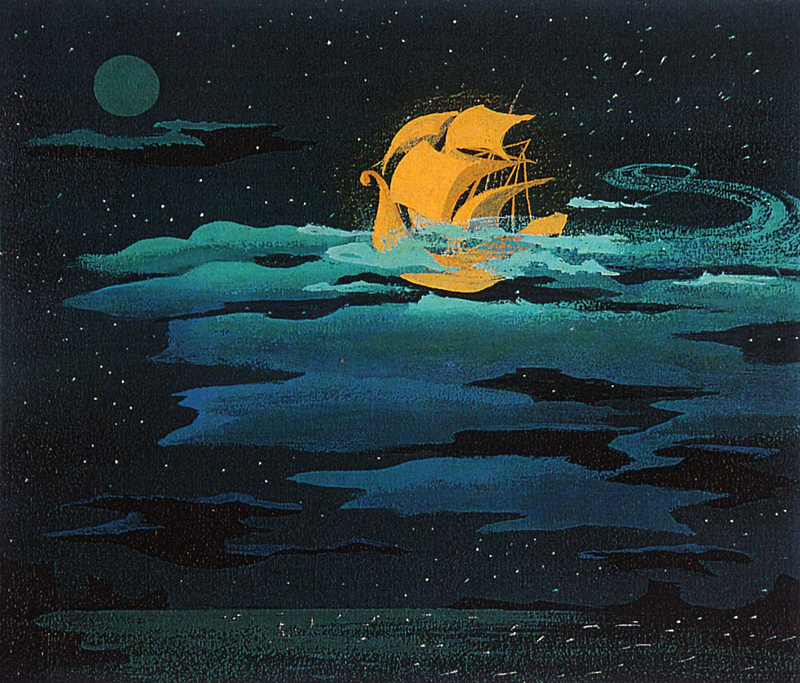 MARY BLAIR went to work for MGM – animation. 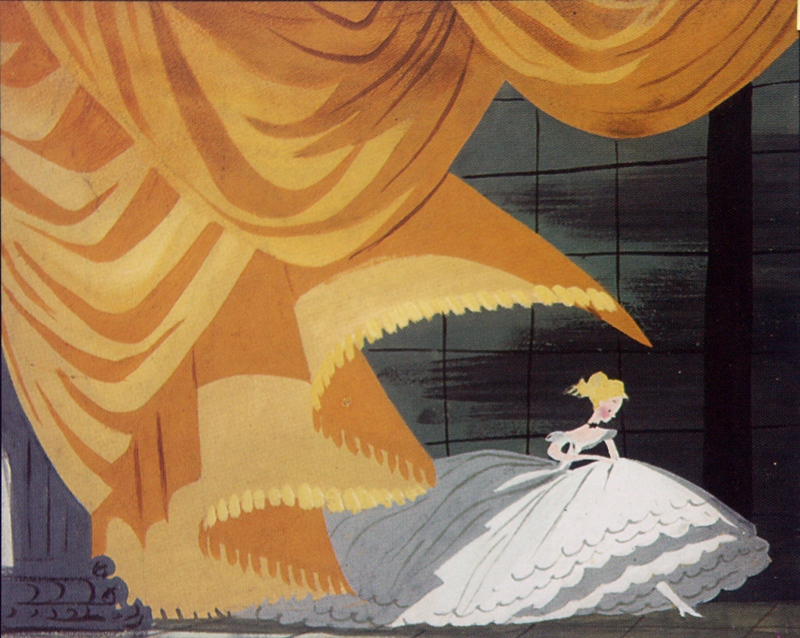 but in 1940 she left MGM and started at the disney studio as well, in the CHARACTER MODEL DEPARTMENT, headed by JOE GRANT. 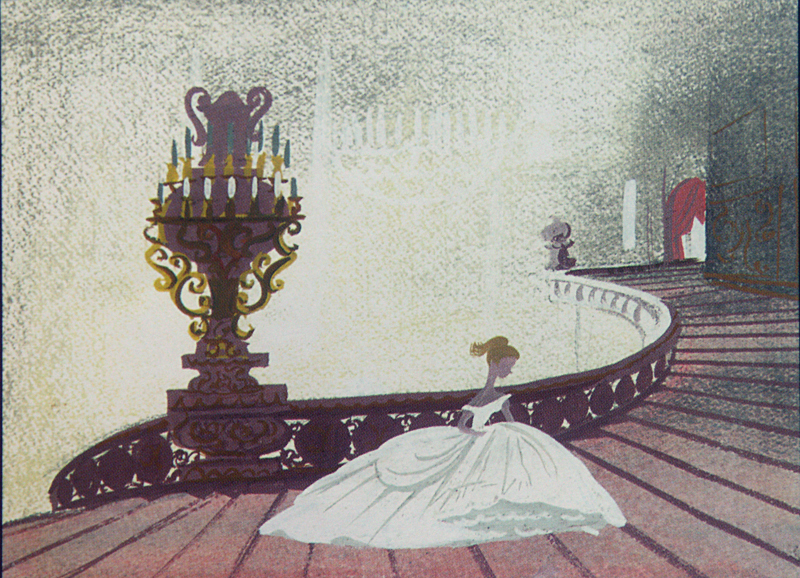 for joe’s idea of LADY AND THE TRAMP she created numerous watercolor sketches. 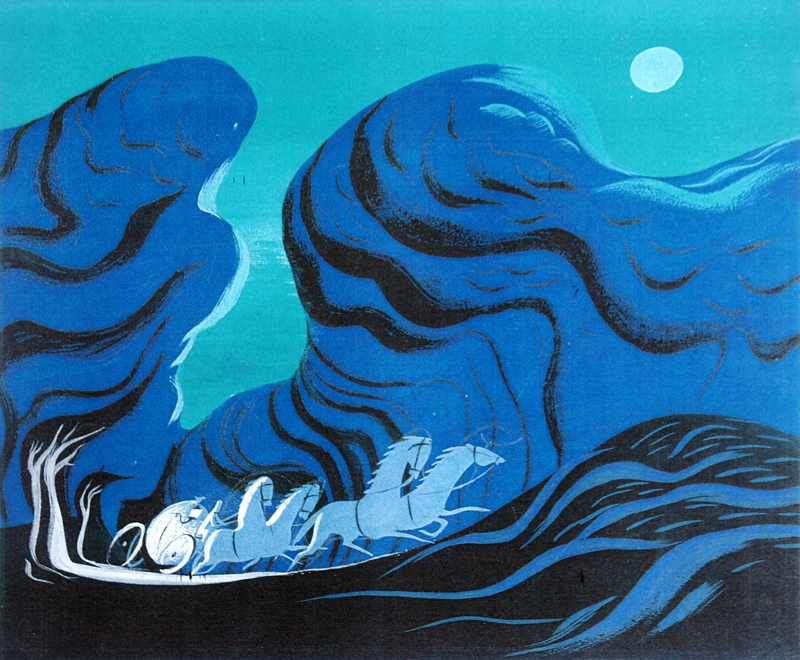 during the early war years, in 1941, disney and a group of designers and animators went on a good will tour through southern america. 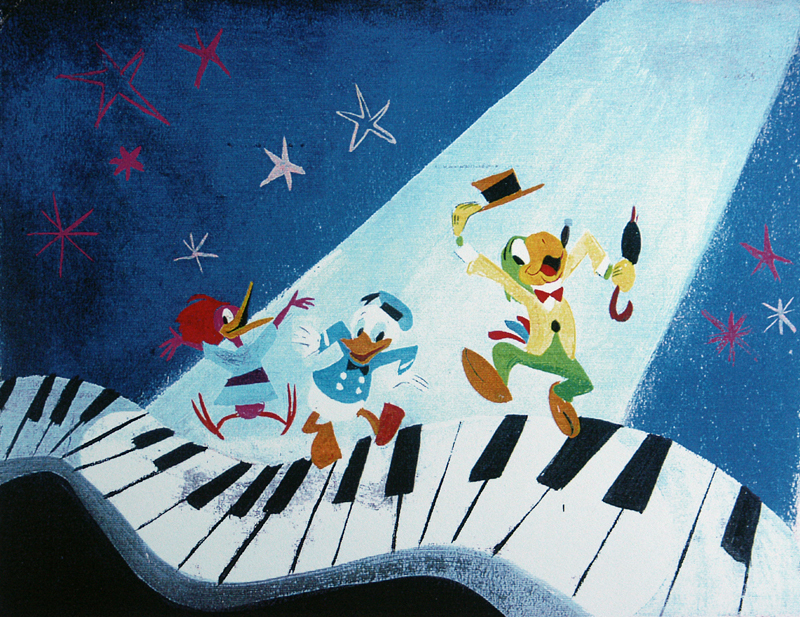 mary blair joined the group and got walt disney’s attention with some concept designs for the by this trip inspired features SALUDOS AMIGOS and THREE CABALLEROS. 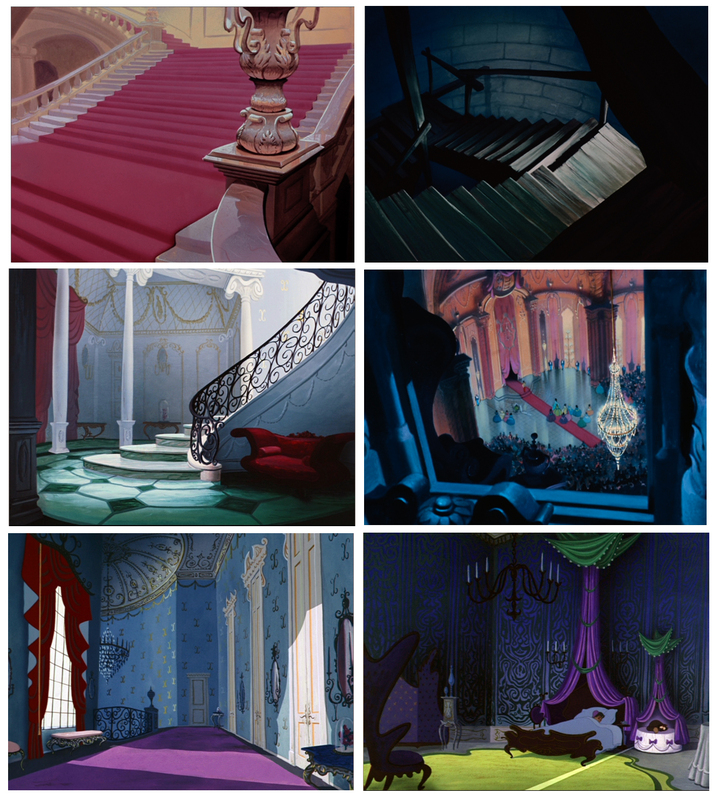 from the mid-forties on she designed most of the disney films, all the way through CINDERELLA, ALICE IN WONDERLAND and PETER PAN. 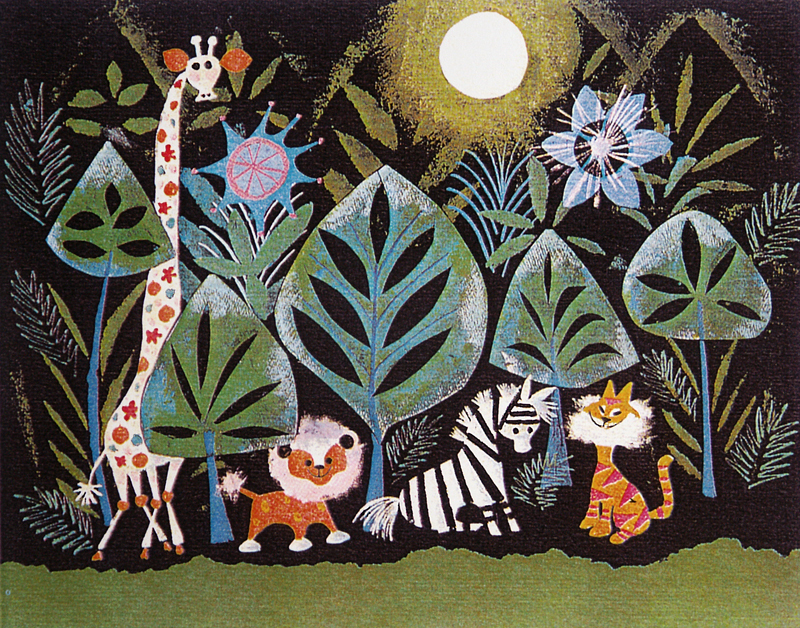 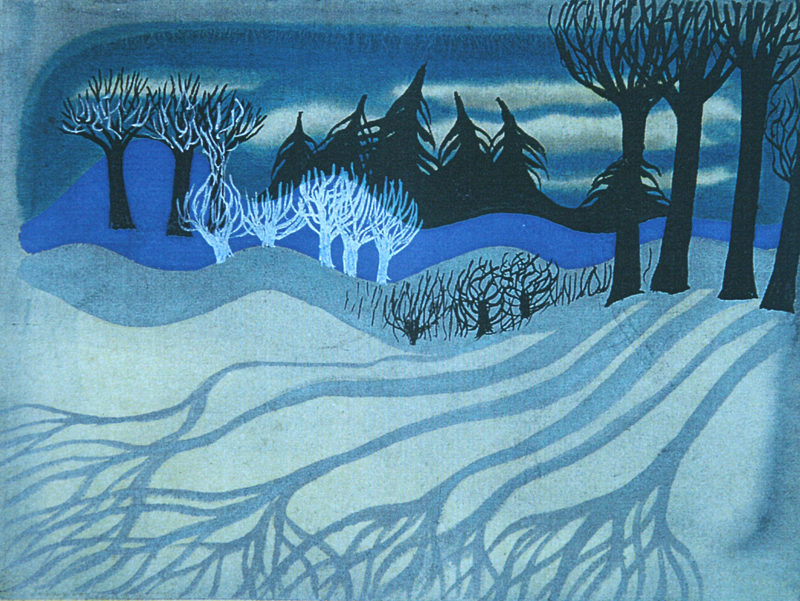 in 1953 she left the studio to follow her own ideas in paintings, children books and other areas incl. 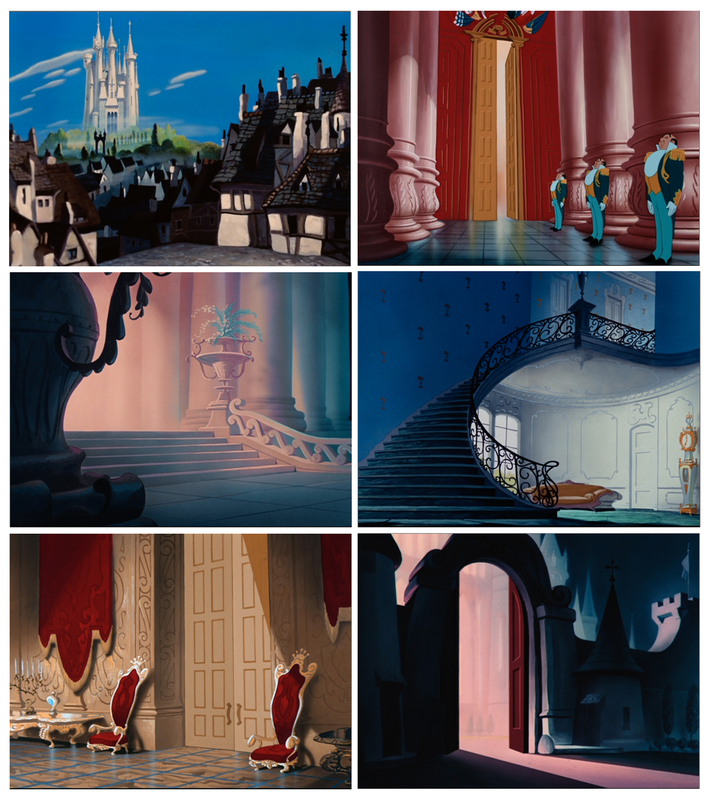 some major advertising campaigns. 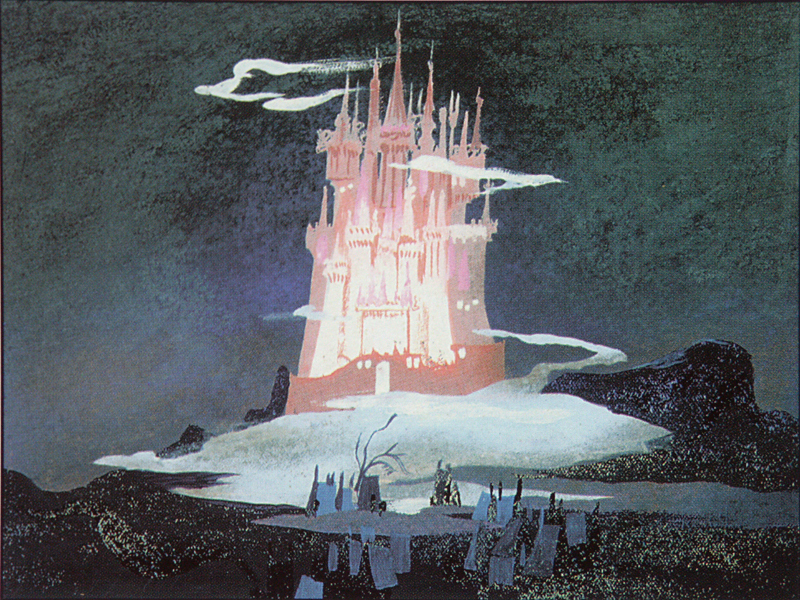 disney asked her to come back in the sixties to design attractions for disneyland. 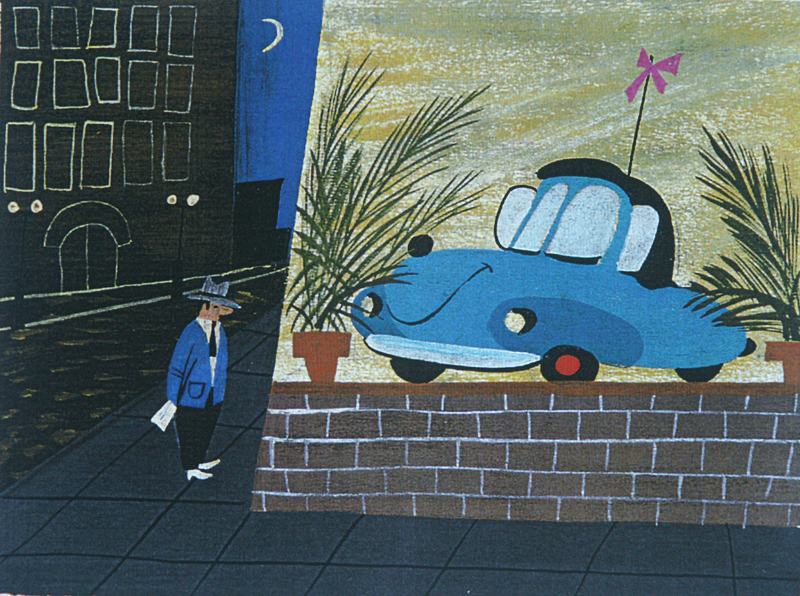 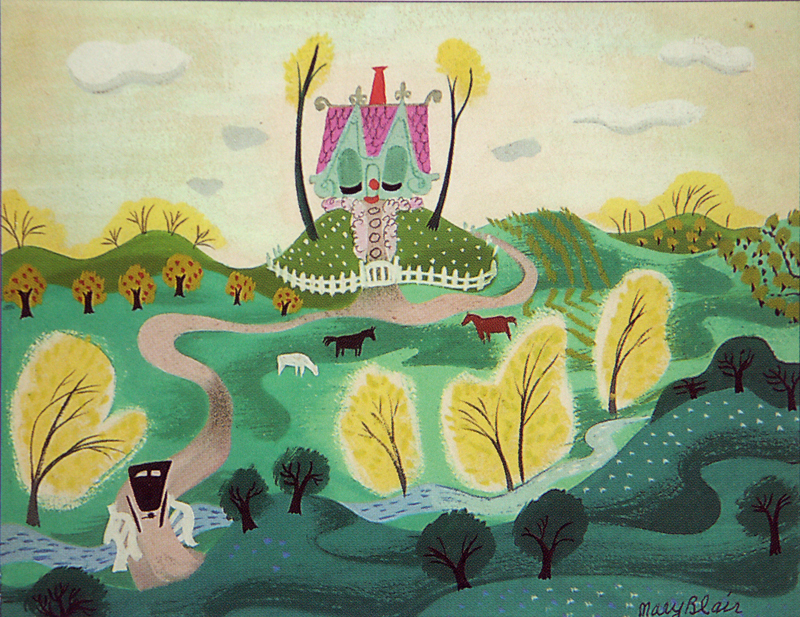 she died in 1978.
mary blair’s influences were very different. 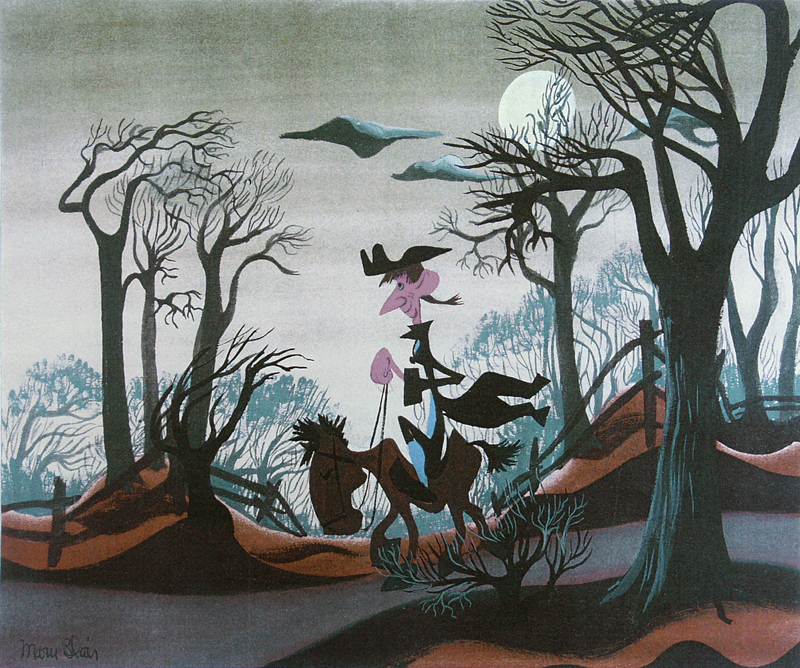 they came from contemporary commercial art like european advertising posters, VOGUE fashion designs, NEW YORKER covers as well as folk art and the colorful southern-american culture.